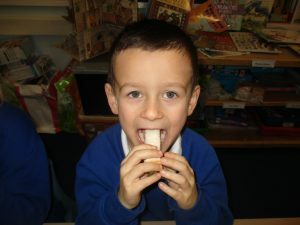 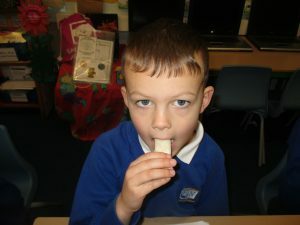 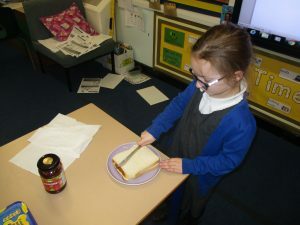 This week we have been learning about instructions – what they are used for and when you would use them. 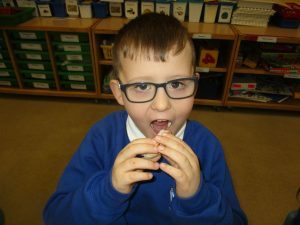 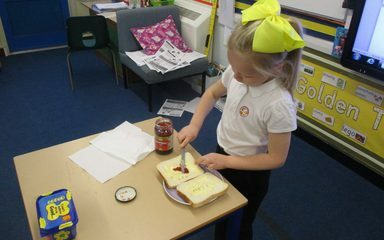 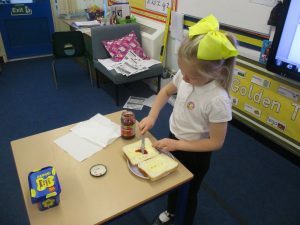 Today the children read a set of instructions on how to make a jam sandwich. 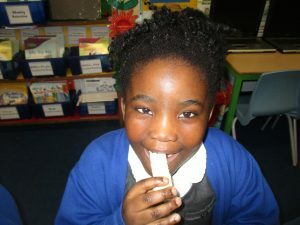 When each instruction was read out the teacher would complete each one. 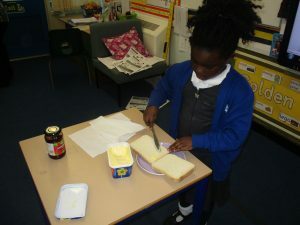 They then swapped so some children could carry out each instruction. 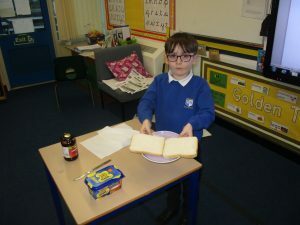 Their reading skills are progressing well along with their understanding. 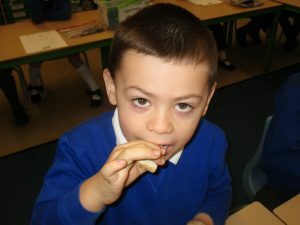 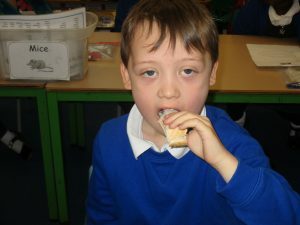 They all agreed that the best part about following the instructions was when they could eat the sandwich at the end! 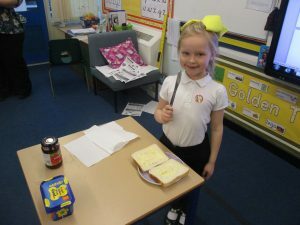 Scarlett looks like she’s really enjoying making jam sandwiches and royal chocolate cake.